This topic contains 1 reply, has 2 voices, and was last updated by JohnMegacycle 3 years, 1 month ago. Not sure if I should post this on the CC forums or here, but I’ma start here. 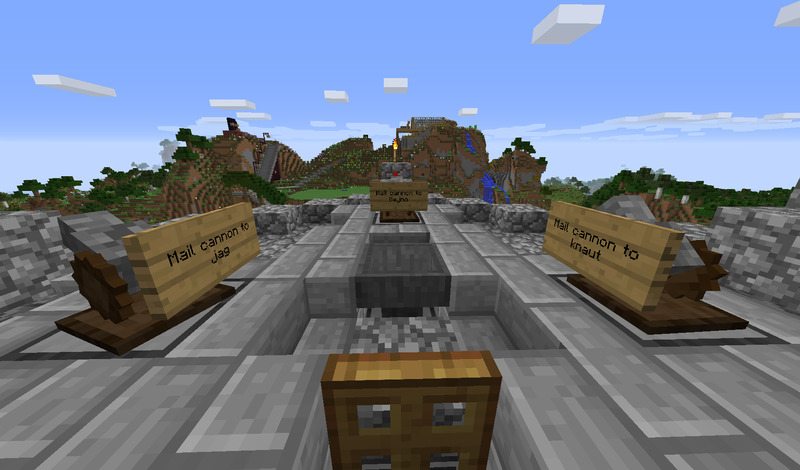 I was playing with some friends on a CC (ComputerCraft) only server, and I got the idea of making a mail system so we could send private messages (even tho you can with the in-game chat, but that isn’t as fun is it?). 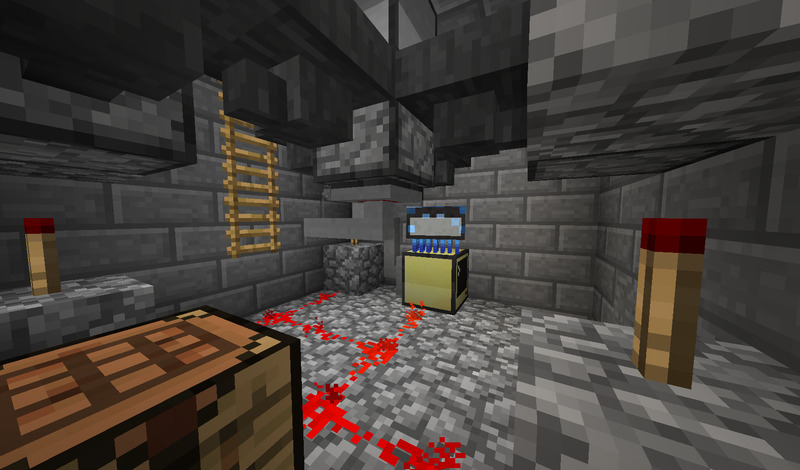 Now at this stage we were very poor (in-game) and barely had enough food to survive, and since the “recent” change to CC where the recipe for the wireless modems now contains an ender pearl, I needed to come up with some other ways of sending mail. 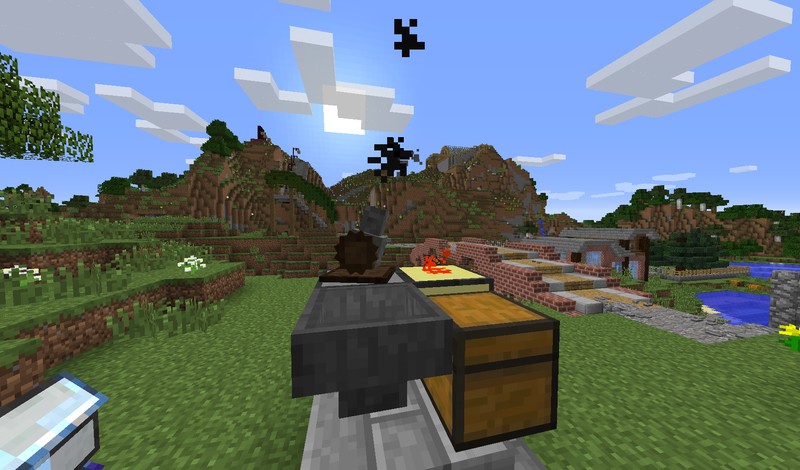 I stumbled upon the OpenBlocks item cannon, and got so fascinated that I wanted to make a mail system based on the item cannon ^^. The initial structure I imagined is more or less the one I settled with, and is actually pretty similar to real life snailmail systems. The core of this system is the mail tower. This is where all letters go through. 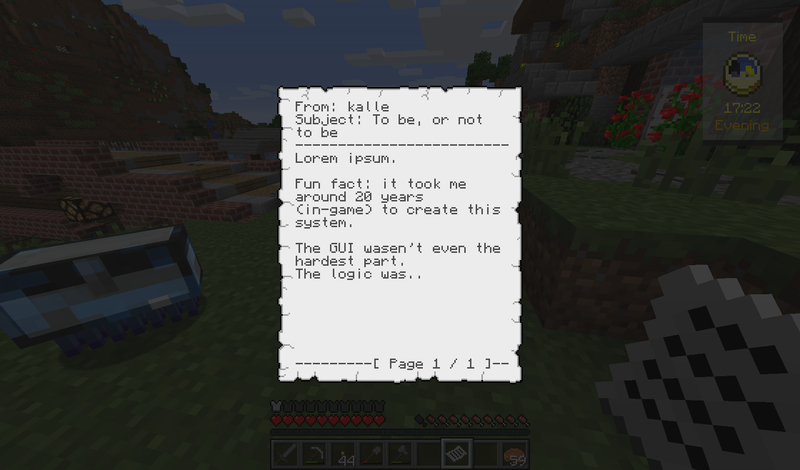 When you write a letter, the data gets printed onto a floppy disc that is then shot with an item cannon to the tower, that reads the floppy disc, prints out the data onto a peice of paper that it sends to the selected receivers, and then sends the floppy disc back to the sender, ready to be written upon again. 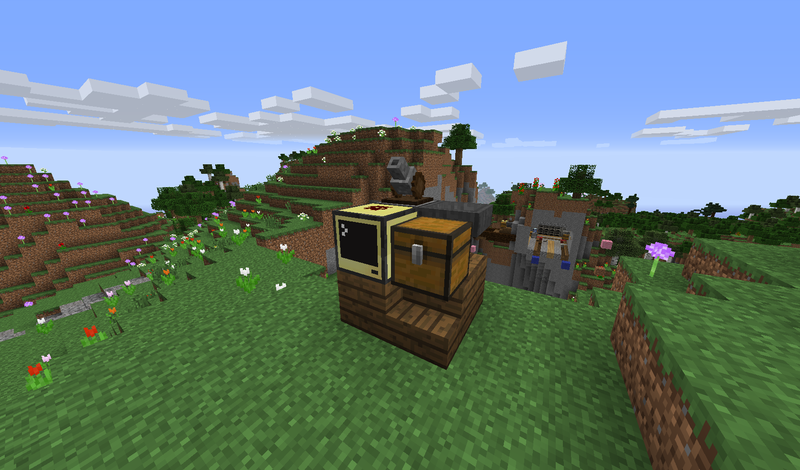 Each player has their own mailbox, which is (as seen in the image above) made out of a computer for writing the letters, a discdrive to write the data, an item cannon to launch the disc to the mail HQ/tower, a hopper to pickup the returned items, and a chest to be the mailbox inventory. 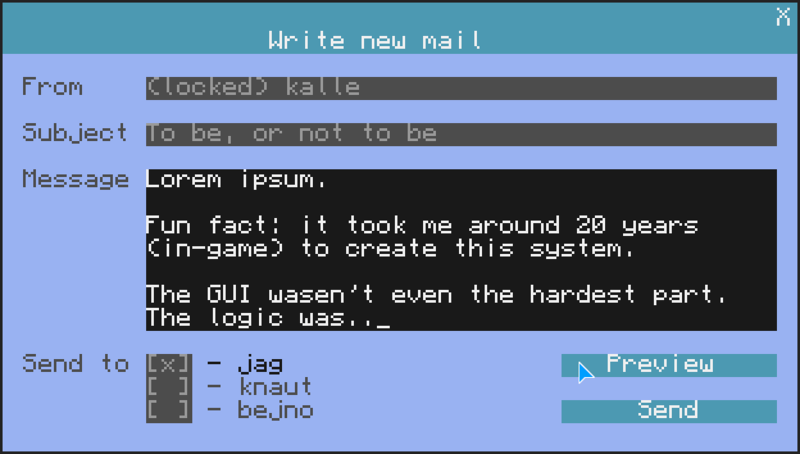 The computer at the mailbox got a nice GUI where you can write your mail with ease. The mail content (message & subject) gets wrapped to fit the size of the printed page. While writing you can tap “Preview” to breifly show what the letter would look like if you were to send it as is. When done writing your message, you tap “Send” and the item cannon shoots it out towards the HQ. Up at the mail tower, a hopper collects the disc, reads what’s on, prints a page, and gives the items to respective item cannon. The letter arrives in the form of a CC printed page. 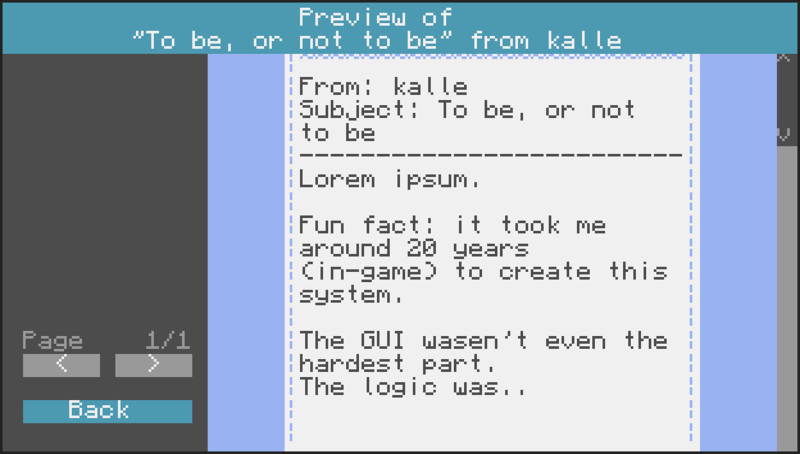 This topic was modified 3 years, 2 months ago by Kalle (Jag).